I live three minutes away from the Thames via leisurely stroll (which technically forfeits my right to complain about anything ever). Not only is the pretty great in and of itself, but the Thames is a fascinatingly historic river in a fascinatingly historic city. 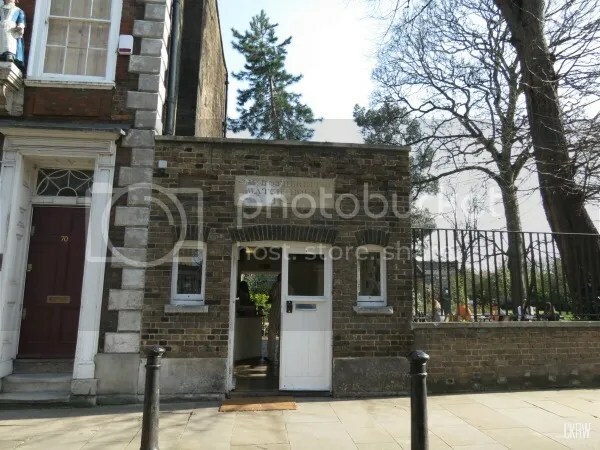 Come wandering with me this week as I show you a bit of the fantastic history within twenty minutes of my flat. 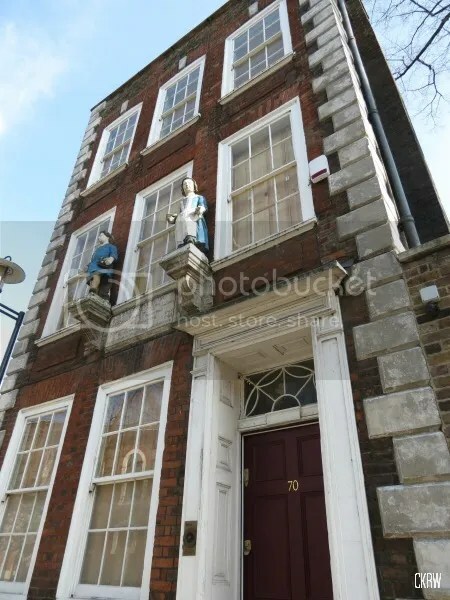 Finishing up with our week’s tour and circling back to St Mary’s, a charity school was instituted right next door to the church in the 18th century. 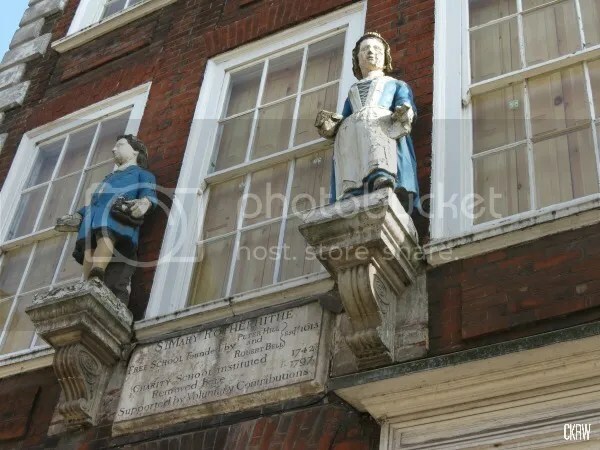 The charming figures of a boy and girl still stand sentinel above the door and right along side it resides the early 19th century watch house. Today this functions as a small coffee shop and bakery – and may I say, the cookies are delicious!